As a long time Doomtree fan, I’ve been excited about Dessa’s book for quite a while. 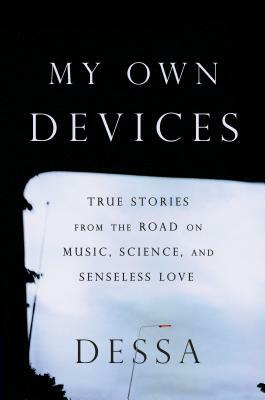 But My Own Devices does not require previous knowledge of her music career. Even anticipating this book, I was floored by how good it is. Dessa tells the story of love that won’t quit even when you want it to, artistic passion, and family with grace and humor. She writes sentences that stun, and the cumulative impact of each essay builds to a crescendo in the moving “Call Off Your Ghost.” Here Dessa flexes her love of science and explains the brain and its processes in relatable prose, finally begging the question: can you make yourself fall out of love? She gives it a shot through the use of neurofeedback. One of the best essay collections I’ve read in a long time—Dessa belongs on your shelf. Dessa is a rapper, a singer, an essayist, and a proud member of the Doomtree hip-hop crew. She's performed around the world at opera houses and rock clubs and while standing on barroom tables. She's landed on the Billboard Top 200 list as a solo artist (Parts of Speech, Chime), as a Doomtree member (All Hands), and as a contributor to The Hamilton Mixtape. As a writer, she's contributed to the New York Times Magazine, Minnesota Public Radio, the Star Tribune (Minneapolis), Minnesota Monthly, literary journals across the country, and has published two short collections of poetry and essays. She now splits her time between Manhattan, Minneapolis, and a tour van cruising at six miles per hour above the posted limit.